Ironically, they end up spending more on labor and materials. The last thing we want to do is to go into your home and start destroying walls to get to the pipes. Our Villa Park plumber will respond immediately to your call for plumbing repair or periodic maintenance. Right here in OC Plumbing Pros, you can find plumbers who work with your best interest in mind. When you call us while the problem is still small, we can cut the costs to the minimum. We invest a lot of money not only on giving our technicians further training to hone their craft further, but in the most modern equipment related to their trade. Call us 24/7 at (949) 371-8413. Even if you don’t currently have a plumbing emergency in your home, the chances are good that you will have one at some point. OC homes are getting older every day meaning more plumbing problems, and the best way to help avoid large emergencies is to have our technicians perform a periodic plumbing services inspection. Our experts will highlight items that are in poor condition that you may not be aware of, which may help prevent a major catastrophe down the road. Trust our 15+ years of expertise to fix your emergency plumbing issues & also help you prevent such emergencies where possible. Your Hot Water Heater Is in Need of Repair by a Plumbing Company? We understand how you will feel when your water heater is in trouble. Sometimes, all it takes is just a simple repair job. You might even save more money this way. So, while you may want to entertain the idea of getting a new heater, call us first, and let us see if it is still practical to repair your unit or ditch it for a new one. Drain Clog? We Can Solve That Problem For You: While the drains are considered important components of plumbing systems, they sometimes end up the least prioritized when it comes to maintenance, and are given attention only when there is already water accumulating in the sink, accompanied by a foul odor. If all the drain-cleaning agents in the market no longer work, we have the perfect equipment to do the job. Rest assured, though, that we know just what to do in cases like this, and because we have access to the most modern tools and equipment, we can ensure flawless solutions to keep the drains open. This means we can localize the repair, and don’t have to replace all your pipes. Accurate Leak Detection and Repair: Some leaks, just like slab leaks, for instance, may be hidden somewhere in your Villa Park property, and they can be difficult to identify, so save yourself the hassle and call on our experts to determine where the leaks are, and make the necessary repairs. Even small leaks can create big problems and losses in money. Water leaks can lead to structural damage, the development of mold, and money loss from having to pay higher water bills. Homeowners, however, should suspect something when there’s sudden spike in their monthly water bill when the amount of consumption remains the same. Emergency Plumber Villa Park – Call Us Now! We Will Handle Your Re-piping or Pipe installation Needs: Building code requirements in Villa Park mandate that you hire licensed professional plumbers to lay down the pipes in your house or office. 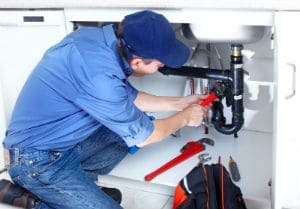 Our certified plumber can also provide the necessary assistance when your garbage disposal is leaking or has stopped functioning altogether, or when you have a new system to install. If that’s not guarantee enough that you are hiring a professional that can handle your problem then we don’t know what is. Why are we mentioning this? Keep in mind, the repair or the installation of a garbage disposal system requires a good amount of skills, and the right equipment, of course. Worry Not About Toilet Installations and Repairs: We understand your frustration when your toilet is leaking, broken, or clogged. That means limiting the number of hours we are in your home, and that means working fast. But somebody has to do it. It’s understandable because it’s a dirty job. Take confidence in our team because we have the capability to deal with your “toilet” situation immediately, no matter how bad it looks. 24/7 Emergency Services Available At OC Plumbing Pros: Here at OC Plumbing Pros, we understand that plumbing emergencies can happen when you least expect them, the reason why we make ourselves available 24 hours a day. Our customer representatives can answer all your queries and quell all your worries. We know the nature of each problem, but there are issues that are more severe than others. Nobody can predict the future, and so you can’t really determine when your plumbing system or toilet breaks down. Call Our High Quality Villa Park Plumbers Now! Please understand however that while we can give you a price quotation, the estimate may change depending on the results of the ocular inspection. We do this through the experience of our technicians, and the tools and equipment we’ve acquired through the years. Contact us at OC Plumbing Pros now so we can get the process going. Call our plumbing contractors today at (949) 371-8413!